Healthcare Jobs in Canada. Those with an interest in working in healthcare are in luck as this profession is one of the employment sectors that it most in demand all over the work. Healthcare staff is much in demand in Canada and the profession frequently makes an appearance on the shortage occupations list. 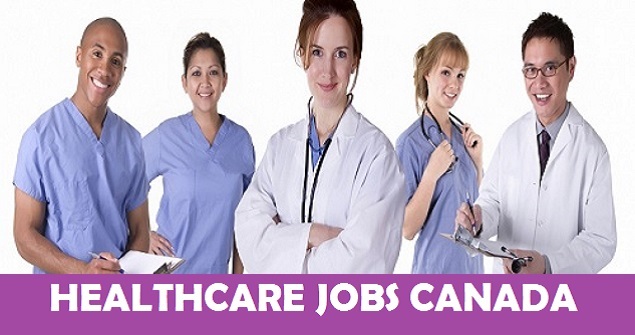 Therefore, finding healthcare jobs in Canada is relatively easy, and is a great route to immigration. There is a broad spectrum of healthcare jobs in Canada, from nursing and midwifery to physiotherapy and pharmacy, so you are sure to find a position that suits your previous skills and experience. If you are looking for a healthcare job in Canada, this article will help you find out everything that you need to know about applying for posts. If you are a qualified nurse in your home country, you can obtain a temporary residency work permit to relocate to Canada. You will, however, have to have your educational credentials verified by the Canadian authorities, and you can have this done either before you move to Canada or when you have arrived in the country. You must also apply to register as a nurse in Canada with either the CCPNR (The Canadian Council for Practical Nurse Regulators) or the CAN (Canadian Nurses Association). You must apply to the appropriate nursing regulatory body of the territory or province in which you are going to work as the requirements for registration differ with every individual region. In all territories except Quebec, you will need to also pass the CRNE or CPNRE exams as part of your registration process. It is important for doctors who trained overseas to realize that it could take some time for their qualifications to be recognized in Canada. Every province and territory has its own criteria for eligibility to practice and the process can be quite complex. Depending on the area in which you would like to work, you may have to undertake several examinations as well as language proficiency tests and even postgraduate training and assessment. As an overseas candidate, you may also be required to work in an isolated or understaffed community for a set period of time as part of the conditions of being granted your license to practice. As well as having your educational qualifications assessed by the Canadian authorities to ensure that they are equivalent to Canadian certifications, you will also have to meet certain other criteria. These include having sufficient previous experience within your field of healthcare (usually at least 2 years), excellent proficiency in the English or French language with strong speaking, writing and reading skills, and you must be of good moral character and pass the criminal record screening test. You will also have to undertake a medical exam to show that you are in good physical health as you will be working closely with other people in the community. Most healthcare fields in Canada have professional organizations that you will also need to register with in order to be permitted to work in the country and you should find out more about these before you relocate. One option for those who wish to move to Canada as a healthcare working but who are struggling to have their qualifications and credentials recognized is to find work as a live in carer or home help. This kind of work can be found through private agencies or by looking at online classified advertising sites such as Craigslist. This type of work does not usually require the Canadian healthcare qualifications and international qualifications are generally recognized. This makes obtaining this type of position much easier and there is a lot of demand for employees, especially in the larger cities. Working in this field enables a healthcare worker to obtain essential Canadian work experience while working towards their accreditation in the province in which they are living. Healthcare Jobs in Canada. There are several immigration routes open to healthcare workers who wish to come to Canada, however there are two that are especially well suited. The Federal Skilled Worker Program currently has 9 occupations on it that relate to the healthcare field, and if you are already skilled and experienced in any of these areas this is a good way to gain access to employment and a quick route to obtaining the necessary work permits. Alternatively, the Provincial Nominee Programs are another excellent way for healthcare workers to obtain employment in Canada. These schemes enable provinces to choose candidates to work in their regions and to be granted permanent residency. Healthcare workers are skilled professionals, and so are often eligible for these programs. Some territories such as British Columbia and Saskatchewan, even have their own specific programs to bring in talented medical workers to their district. To apply to any of these programs, you must be able to demonstrate your experience in your field and meet the essential minimum language skills requirements and have enough funds to support yourself. You will probably already need to have received or be in the processing of obtaining any certification that is required to practice in your field in Canada before applying for the program. Your educational credentials must also be verified by the Canadian authorities and you must be registered with any professional society, union or organization relating to your profession in Canada.